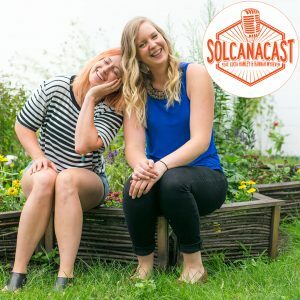 This week we welcome very special guest Austen Hartke, Solcana athlete extraordinaire, our friend, and who identifies as transgender and Christian. Listen to learn what it’s like to experience a group gym atmosphere while transitioning from female to male,how Austen advocates for transgender rights and dialogue within religious communities, and so so much more! By the way, don’t forget to tweet us at ANY time (we luv you) and also if you have a hook up to someone who works with schools lunches! We’ve got questions for you!